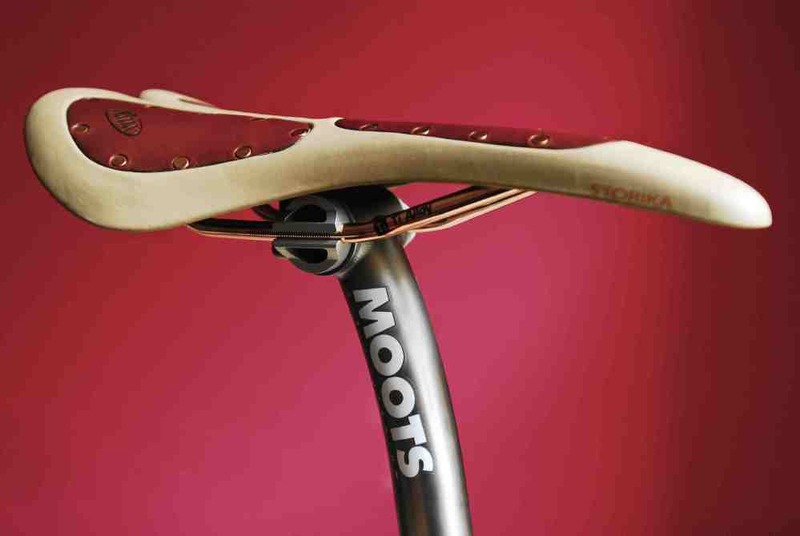 Both the Moots seatpost arrived (along with £30 IMPORT duty and paperwork fee) but now safely at the house. Looks the business with the Storika saddle – but beauty is only relevant if they deliver the goods. Just waiting for Rohloff speedhub to be installed. 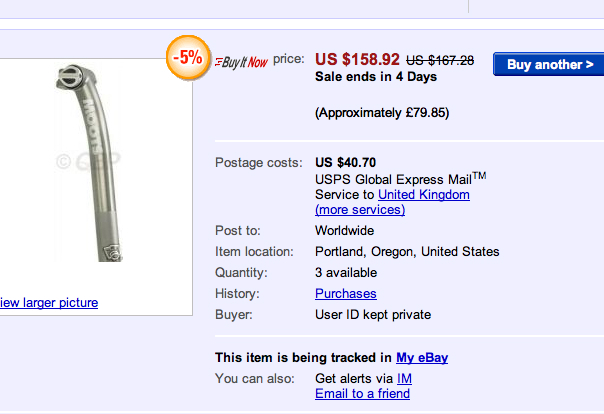 Bit the bullet and ordered a Hope Pro 3 hub and Mavic XM819 front wheel, so will be running complete tubeless setup. Guessing still that the weight will be in the 24 / 25lbs territory. Spent some time looking at gear ratios to use with the Rohloff to make it efficient for racing XC – comparing them to standard derailleur setup. Just enter the chain ring sprocket combo you plan to use. It will work out gear inches and speed in km/h at certain cadences. Just back from a nice little ride over my regular tracks – up the West highland Way. Singlespeed making me look at old routes in a new way. Still waiting on the Rohloff before the bike will be revealed so getting parts together. Tried to transfer my old Flite saddle from the Klein unbolted it and realised a crack went straight through the middle and was holding together with just 4mm of plastic. So new saddle ordered – fancied something similar (but different) so just bought a discounted Selle Italia Storika – weighs 190grams and looks quite retro cool I think. 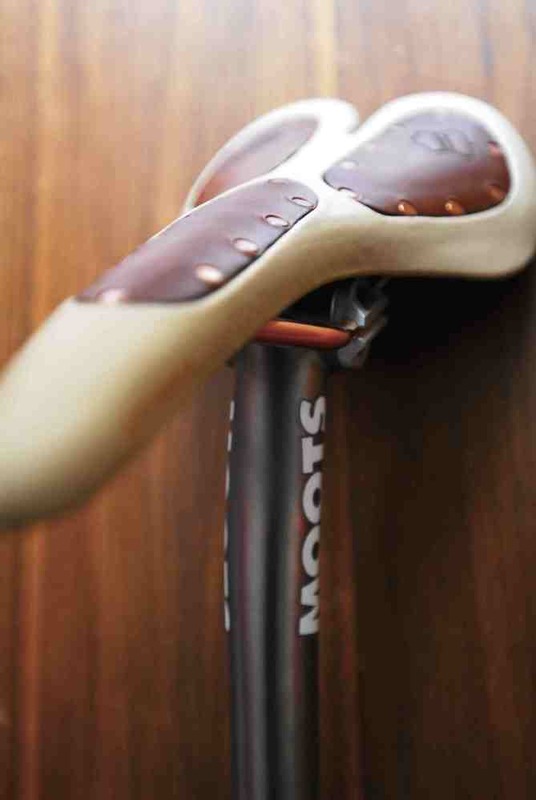 I just bought a new seatpost for the Xizang – Moots seatpost just to lengthen the cockpit. Think titanium might take some of the buzz out of the ride. Going to wait until it is built up before I think about switching the fork. 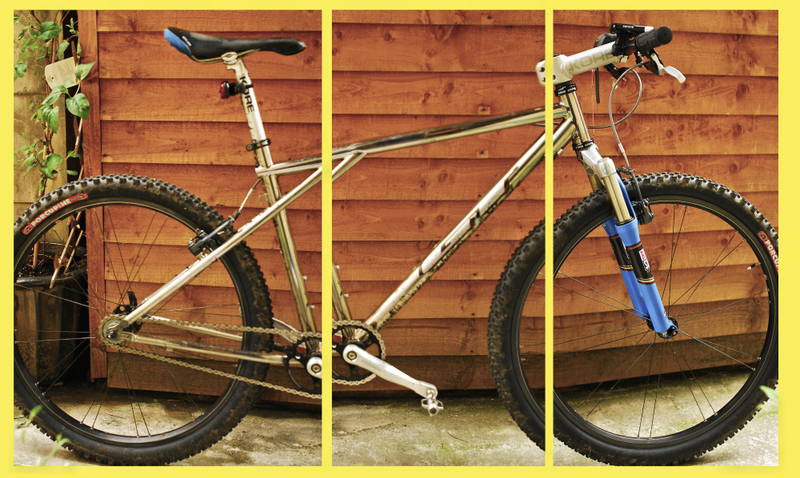 I have a Pace RC36 evo pro on my klein (which will become a singlespeed) that I might put on the GT …. then maybe a RC31 C Pace on my Klein. 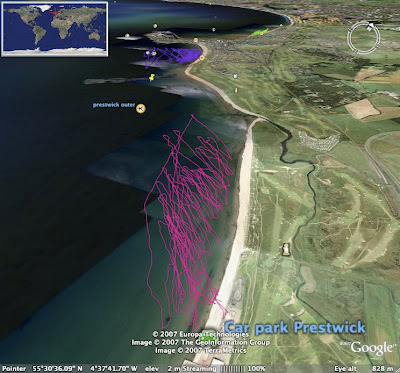 Had a good 2 hour session at Prestwick. Went out on the quad and then swapped for the 5 foot old surfboard. It went great and made me realise what a difference the new fins made to the feel. Swapped back to the quad and even though it is much bigger it is so much smoother through the water. Had a fantastic session ….. Thursday windy again so hopefully have another session then. 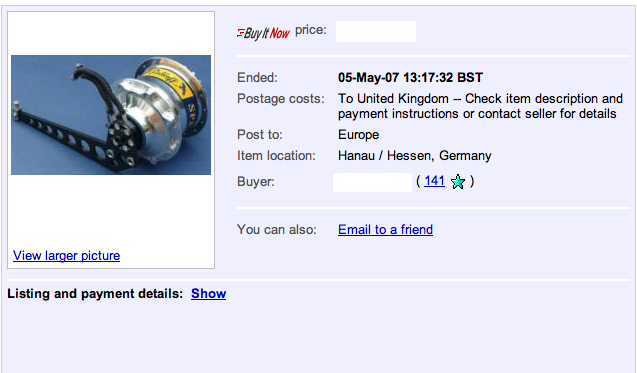 Just purchased a new rohloff speedhub from Germany. Was hoping to get a second-hand unit without the bother of wearing in the hub – but it looks like the hard grind is up to me. Getting it shipped to my local bike shop where they will build up a wheel for me Mavic XM819 rim DT spokes – and fit the rohloff as well.